Three adjectives that describe you: Honest, spontaneous, and energetic. Favorite activities: I love to play music, so a jam session is always good. I love going to shows and concerts for the crowd surfing, mosh pits, stage diving, [and] all the fun stuff. Traveling, hiking and sightseeing are definitely solid activities. I enjoy the outdoors, like the woods and mountains. I'm a thrill seeker, so [I like] essentially anything that can fuel that. I do enjoy a good night out with friends at a fun speakeasy bar in L.A., like Davey Wayne's and No Vacancy. My life’s motto is… To live my life in such a fulfilling way that when I'm on my deathbed, there's nothing left for me to experience. Watch Paul Abrahamian's first on-camera interview before he enters the Big Brother 18 house! 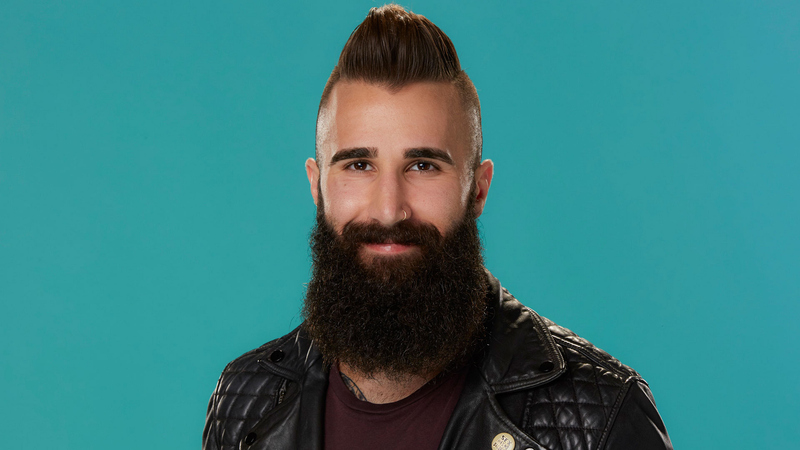 Read Paul Abrahamian's full bio.